The Russian Prosecutor General's Office has explained to RT how an "efficient mechanism" of information sharing with the US works. No private lawyers are involved in the process, the agency official said, denying allegations that it has played a part in any meeting between Donald Trump Jr. with lawyer Natalia Veselnitskaya. 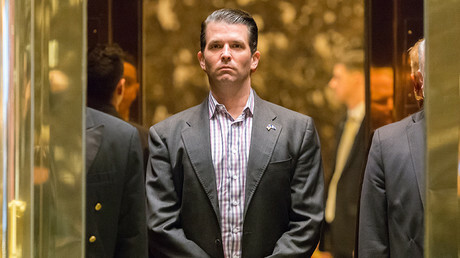 RT: Some foreign media wrote about the meeting between Donald Trump Jr. and Russian lawyer Natalia Veselnitskaya which reportedly took place last June, and possible involvement of the Russian Prosecutor General’s Office in brokering the meeting. How would you comment on this information? 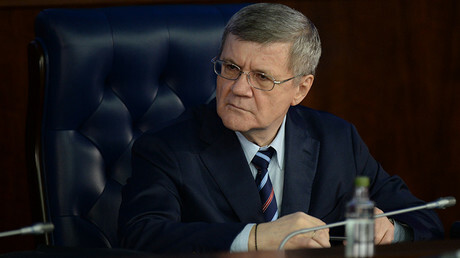 Denis Grunis, head of the International Cooperation Department for Major Cases at the Office of International Legal Cooperation of Russia’s Prosecutor General's Office: I would not want to comment on something that is totally untrue. You have to understand that the Office of the Prosecutor General does not share information with individuals in the US. Such contacts can only happen through official channels – as stipulated by international agreements – and after a formal query is submitted by a prosecution agency. This is exactly what we told your foreign colleagues – and we had about a dozen major Western media outlets asking us to comment. Interestingly enough, they did not publish any of our comments. RT: So you are saying that the Prosecutor General’s Office could not have sent Veselnitskaya? Denis Grunis: It is insane to think that the Prosecutor General’s Office would use a private lawyer to transfer information. Let me explain how this communication between our agency and the US usually happens. In 1999, Russia and the US entered into the Treaty on Mutual Legal Assistance in Criminal Matters, and it is still valid. This treaty states that any exchange of information about criminal cases is done through the countries’ official agencies – the Russian Prosecutor General’s Office and the US Department of Justice. So if we need to share information with our American colleagues, we send it to the Justice Department, after processing it in full compliance with the Treaty. There is a direct channel of communication between our agencies. For instance, in 2015, we sent 109 queries to the US, asking for legal assistance in criminal matters, and received 35 such queries from our American colleagues. The Russian Prosecutor General’s Office is in constant communication with the American colleagues – we hold video conferences and meet with the law enforcement employees of the US embassy in Moscow. These contacts allow us to coordinate practical steps that we take under this Treaty. The Prosecutor General’s Office views this cooperation with the US as quite an efficient mechanism. RT: So the Prosecutor General’s Office can share information with the Justice Department. How does that work? Denis Grunis: I’ll give you some examples. Even though we have no extradition treaty, we still succeed in ensuring the inevitability of punishment for those who commit crimes via sharing information and evidence that DOJ needs. For instance, upon the query from the US Department of Justice, a Russian citizen named Rakosiy was charged with murder of two people in New York in 2011. The court sentenced him to 19 years in prison. Last March, the California Central District Court sentenced a US citizen, Mr. Abramov, to life in prison for pedophilia. Justice was served, because we shared evidence with the US law enforcement. RT: You said that there is no extradition treaty – is that the only problem hindering the cooperation between the prosecution agencies of the two countries? Denis Grunis: We appreciate our colleagues’ level of professionalism and respect them. But at the same time, we have to admit that in some areas the Americans are not as eager to work with us as we would hope. As an example, I can mention investigation of economic crimes. In Russia, we are at the final stages of the investigation into the illegal acquisition of 200 million Gazprom shares, tax evasion and deliberate bankruptcy of a number of companies. 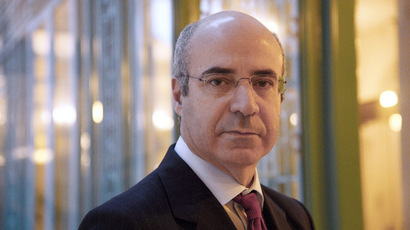 The investigators had questions for an international group that included the Ziff brothers, William Browder, and Jamison Firestone. These foreign nationals headed up Ziff Brothers Investments, a US investment fund that used offshore companies to transfer money to the accounts of Russian shell corporations. Eventually, this scheme was applied to acquire the Gazprom shares at St. Petersburg and Moscow Exchanges in violation of the presidential order that regulated Gazprom share sale procedures at the time. Then in 2006, all assets (Gazprom shares and dividends) were funneled out of the affiliated Russian companies. The companies failed to pay 1 billion rubles in taxes and were dismantled, while their assets (at least 1 billion dollars) were transferred to Cypriot companies and then, after a very short period of time, to US companies, in the same manner. By the way, according to some media reports, Ziff Brothers Investments financed the US Democratic Party. RT: Have you shared this information with your American colleagues? Denis Grunis: Yes, we have. Back in March 2016, we met with representatives of the US Embassy in Moscow, including some FBI operatives. We officially informed them that in the course of the investigation we had found certain information that showed that those people and organizations could have violated not only Russian, but also American tax and financial regulations. The American delegation was headed by Mr. Godfrey, head of the political section and the third most important official in the US Embassy [in Russia]. We stressed that we might be talking about a cross-border organized criminal group. According to the information we have, it is de-facto led by Browder. We warned that the economic crimes committed by this group are notable for their sophistication. We said we did not rule out the possibility that the investigation might be hampered by the political forces in the US who could have received funding from this organization. The US Embassy delegation promised to inform Washington about this issue in every detail, since they understand how sensitive it is. They advised us to relay the information we had about the potentially illegal activities on the US territory in a separate query so that it could be used to conduct an investigation in the US. They assured us that the query would be reviewed and handled with its importance in mind. In May 2016, the Office of the Prosecutor General officially declared its intention to contact the US law enforcement agencies on this issue. In July, all the files, several volumes of them, were sent to the US Department of Justice. We also asked our US counterparts to carry out a number of investigative actions on the US territory, including interviewing the witnesses and seizure of documents. RT: What response did you get from your American counterparts? Denis Grunis: Not the kind we expected, unfortunately. At first, our counterparts told us they were reviewing the files they had received. They assured us they would be very thorough and involve various experts. In early February 2017, after numerous reminders and discussions during video conferences and phone calls, we were told that working on our query might interfere with one of the investigations conducted on the US territory. As far as we know, the investigation and legal proceedings mentioned have nothing to do with the files we sent and have been completed by now. RT: Where do things stand now? Denis Grunis: Our query regarding potentially illegal actions of a cross-border criminal group that includes the Ziff brothers, William Browder and Jamison Firestone, remains unanswered. We have not received the evidence we need for our investigation. Our American counterparts have conducted no inquiry or investigation based on the information we sent. RT: Why do you think that is? Could politics have played a part in it, just like you warned your counterparts it might in May last year? Denis Grunis: I wouldn’t rule that out. Nevertheless, we continue to cooperate with our American counterparts and hope for a response to our query. Neutralizing this criminal group is first and foremost in the US interests, since it operates predominantly on US soil.